When it comes to comics, most of the attention is recently focused on DC's Rebirth initiative and Marvel's Civil War sequel event. It's understandable, as both companies are the biggest in the industry, with the greatest share of the market. But that's not all that's going on in comics, and chief among those other events is last Wednesday's Image Expo, a celebration of all things Image Comics—mere hours before Emerald City Comic Con. Image Comics is currently the biggest publisher of creator-owned comics — special projects created and owned by writers, artists and other comic pros, free from the editorial mandates of the Big Two, unconstrained by the need to sacrifice stories and characters in the name of events big and small. That's not to say it's impossible to make good and interesting comics at Marvel or DC—far from it. But if you really want to learn the range, capabilities and skill of your favorite creators or the possibilities of the medium itself, take a look at what's happening in smaller publishing companies. Chief among those companies is Image Comics. For most of the second half of the 20th century (and much of the first decade of the 21st), the biggest name in creator-owned comics was DC's Vertigo imprint. Legendary founder Karen Berger's relinquishing of her post as Executive Editor initiated Vertigo's slow decline - and the parallel rise of Image. Let's take a look at the most interesting titles announced on Wednesday, in the order of their not-yet-precise release dates. Veteran and fan-favorite writer Jim Zub (Wayward, Samurai Jack, the upcoming Thunderbolts) and comics newcomer Djibril Morissette-Phan team up for a horror story set in Hollywood about an actress unable to find any roles due to her age, who decides to bring the whole system down—as violently as possible. 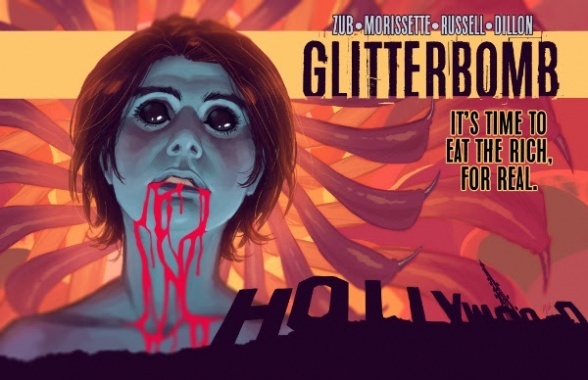 Glitterbomb is set to launch in Summer 2016. 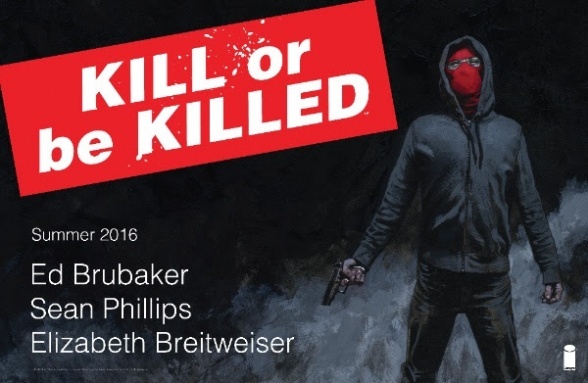 The all-star team behind Fatale and The Fade Out returns with a comics deconstructing vigilantism, described as Breaking Bad meets Death Wish and influenced by 70s Spider-Man comics. 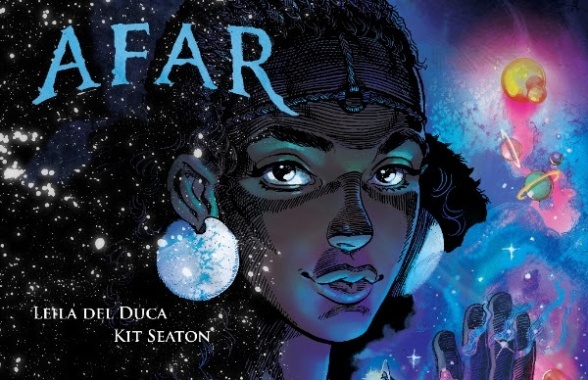 Award-winning Shutter artist Leila del Duca and Kit Seaton (The Black Bull of Norroway) make a bold foray into the space opera genre with a new graphic novel. Afar chronicles the avendtures of Boetema (a young girl who develops an ability to astrally project into bodies of people living light years away) and her brother Inotu (on the run after overhearing an illegal business deal between small town tycoons and their cyborg bodyguard). They join forces to deal with their respective problems after Boetema accidentally hurts someone while in the body of another girl. Afar is set to be released in Fall 2016. 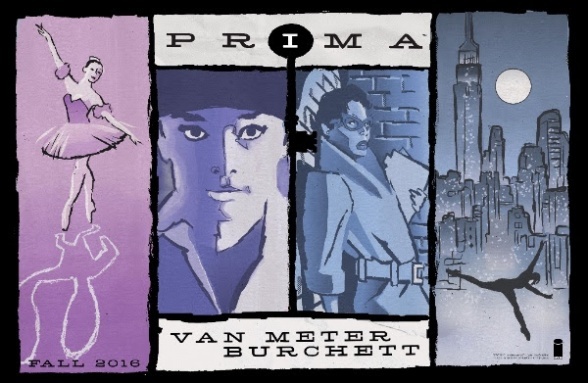 Jen Van Meter (Hopeless Savages, The Death-Defying Dr. Mirage) and artist Rick Burchett start a story about a dance company comprised entirely out of ex-spies, trying to right some wrongs in an ongoing comic set during the Cold War, freshly after World War II. Prima is set to launch in Fall 2016. I mentioned at the start that Image has taken the place once held by Vertigo—and this is the first of two comics announced on Wednesday that proves it. 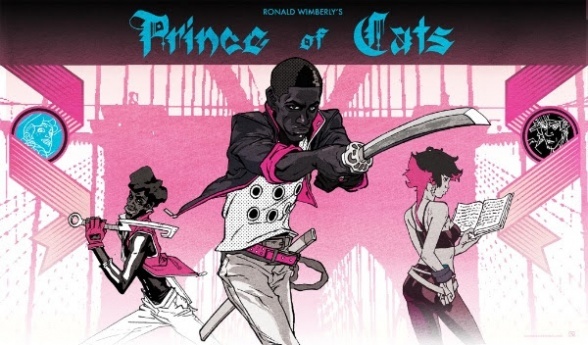 Prince of Cats is a reprint of a critically-acclaimed miniseries published in the summer of 2012 by Vertigo which had not yet been collected. It's a story mixing Rosencrantz and Guildenstern Are Dead and The Warriors, set in an alternate mid-80s New York where sword dueling became a cultural phenomenon. Based on Shakespeare's Romeo and Juliet, it takes the point of view of Tybalt, the Prince of Cats. Prince of Cats is set to be released in Fall 2016. Joe Harris (The X-Files, Snowfall) and Megan Hutchison team up for a supernatural crime procedural in which every arc focuses on a different crime from a different period of rock n' roll (British Invasion, Punk, 80s Heavy Metal etc.). Each of those cases from the past is solved by Jackie Mayer (a young rock music nerd with a gift of noticing things other people miss) along with music writer and aspiring investigative journalist Dorothy Buell—and Jackie's faithful cat, Skydog. 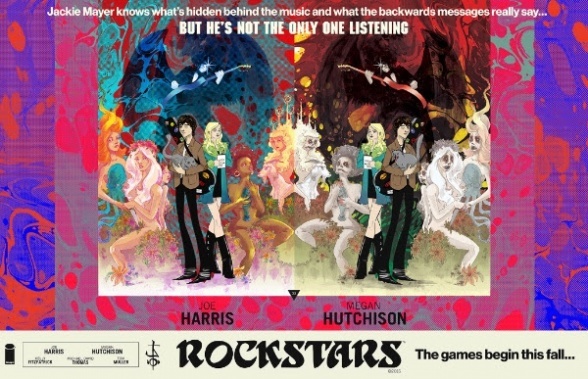 Rockstars is set to launch in Fall 2016. 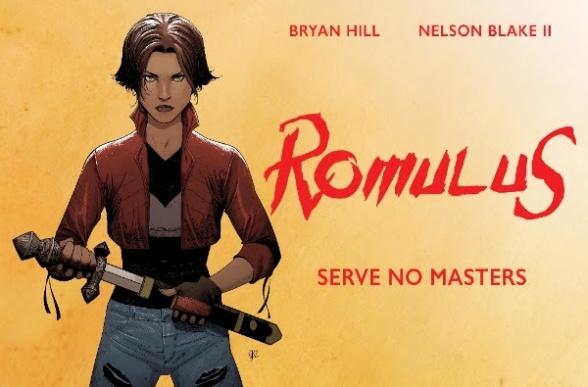 This new action comic will tell the story of the last woman in a long line of great martial artists (seen in the promo image above) fighting against the Order of Romulus—a secret society dating back to ancient Rome, under whose aegis she trained. Romulus is set to launch in Fall 2016. And here's the second title proving that Image replaced Vertigo—a comic edited by the imprint's aforementioned legend, Karen Berger, who is making a much-awaited comeback. Set in a London after an antibiotics apocalypse, Surgeon X tells the story of Rosa Scott, a brilliant and obsessive surgeon, who becomes a vigilante physician treating her patients with experimental procedures and black market drugs. Over time she gains a god complex and starts to decide who deserves to live and who deserves to die. 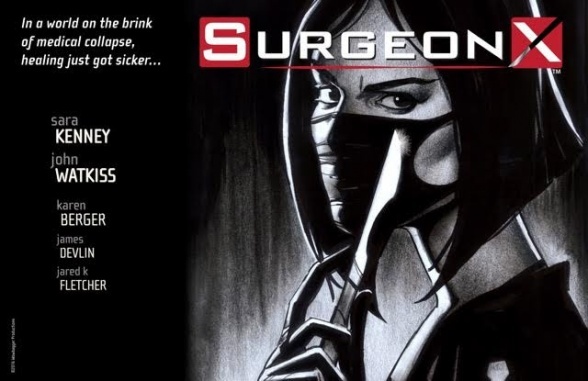 Surgeon X is set to launch in Fall 2016. If you're heartbroken over losing the current creative team behind the Batgirl of Burnside to the upcoming Rebirth initiative, don't be: they're working on a new cool and stylish comic for Image. Set in the near future, This new series tells the story of Domino Swift, a participant in worldwide motorcycle races by day, who by night fights members of rival gangs over a rare and priceless cargo—the titular Motor Crush, an engine-boosting "machine narcotic." 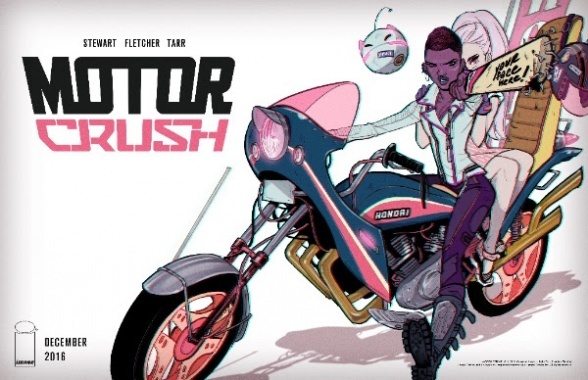 Motor Crush is set to launch in December 2016. Similarly, if you miss the Karl Kerschl's art in DC's Gotham Academy, don't despair: you'll find more in this fantasy comics he's been creating for years with Brenden Fletcher. 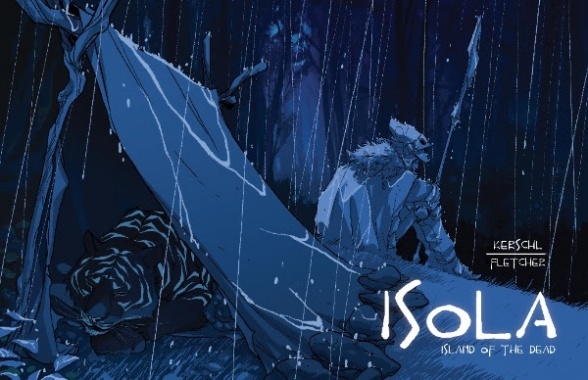 Isola has the scope of Game of Thrones and the spirit of Princess Mononoke. It tells the story of Rook, a female captain of Queen Olwun's Guard, who slays Olwun's treacherous brother after he transforms the Queen into a tiger—not knowing he is the only one who can lift the spell. Now both women must embark on a perilous journey to the fabled island of Isola, where lie the gates of the underworld—the only way of reaching the wicked prince. Isola: Island of the Dead is set to launch in Spring 2017. You can read about other comics announced at the Expo here.